Young girl holds lemonade stand for boy battling cancer in the Bronx. the story about a young girl’s compassion for a complete stranger in the Bronx. Sunday, August 06, 2017 08:31PM. THROGS NECK, Bronx –. 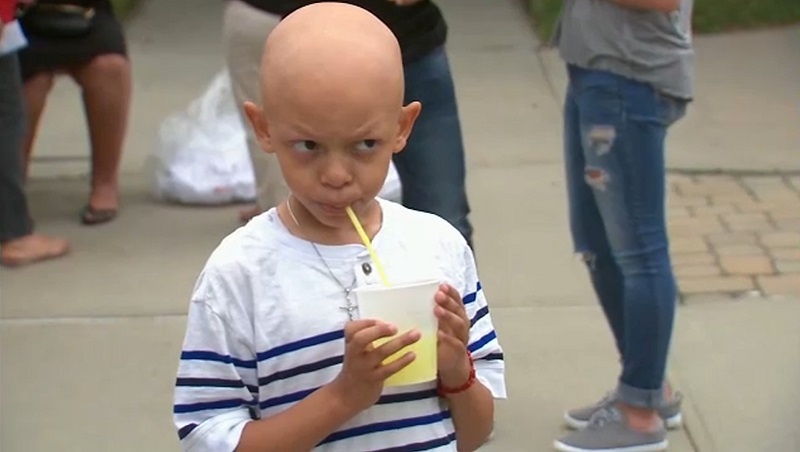 Sometimes a lemonade stand is about much more than the birth of an entrepreneur.”He was diagnosed on May 1st with neuroblastoma, and he’s undergoing treatment now – five cycles of chemotherapy,” said Jaiden’s Mom, Crystal Torres. “I’ve been doing a lot of fun stuff,” Jaidan adds. Jaidan’s smile hasn’t dimmed, in part because of the lemonade stand. “How me and my mom made it was we started squeezing lemon for lemon juice and then we put it in a jar, and then we had water, boiled it, and then we put sugar, mixed it up, put it in that and then we put ice and that’s it!” Kaitlyn Barrios said. Kaitlyn, meanwhile wanted to do a lemonade stand for some time – the question, though is why? 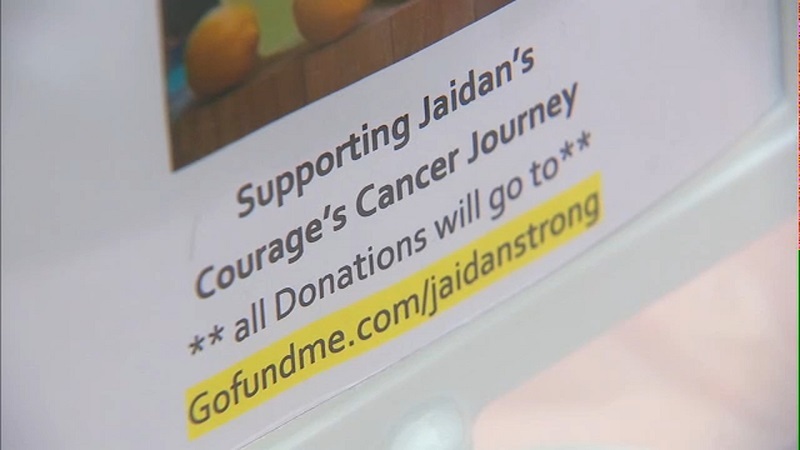 She wanted to donate the money to Jaidan’s Courageous Cancer Journey. The pair met because Kaitlyn’s mother is a family friend. There isn’t a lot a dollar can buy these days, but when you think about what the money is worth, it means a lot. “The most important thing is keeping his spirits high,” says Jaidan’s mom. So how much did they raise?